J Diego Frey is a product of suburban Colorado in the nineteen-seventies and an admirer of cheeseburgers. His poetry follows naturally from this. 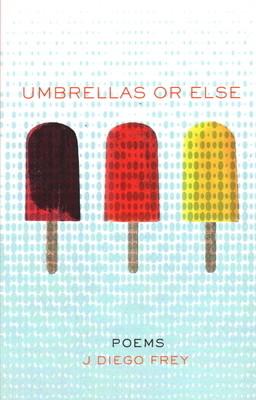 "Umbrellas or Else" is JD's first collection of poems. The title of the book was suggested to the poet by his father long before any of these poems were written, but somehow, it fits.